Deze ALV is alleen toegankelijk voor leden van de NKV. Voorafgaand aan de ALV krijgt u de agenda en andere documenten toegestuurd. 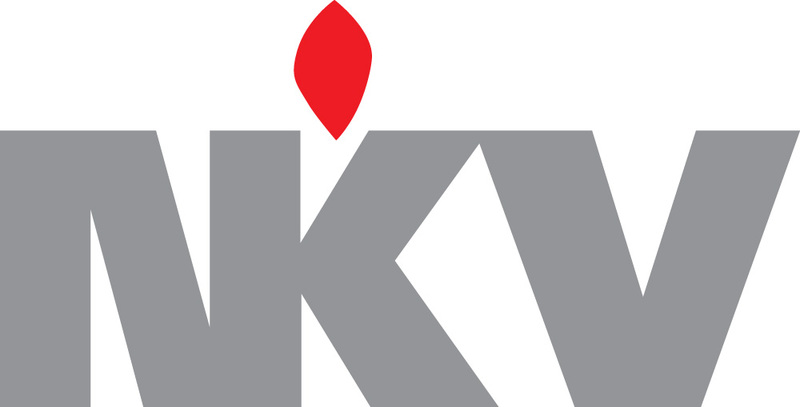 This General Meeting is for NKV members only, in Dutch language. High-tech ceramics are regarded as superior materials although hard to shape. Additive manufacturing allows shaping ceramics of complex structures and catalyzes the design of improved components that would not be possible by traditional techniques, such as powder injection molding (PIM). Products can be directly designed targeting final applications while adding form freedom, light weight and less material usage. This has the potential to change the industry of the future, where applications rule over design. In this presentation, Gerard will share his experiences as an entrepreneur. The starting point is his PhD work where he invented Flexiramics, after which he transitioned to entrepreneurship. Since then they have been doing a technology push that involved a new ceramic material. In the presentation, he will share the lessons that they learned in strategic point of view while working for Eurekite. Yang demonstrates the first successful realization of 2D oxide nanosheet-based supercapacitors using inkjet printing as fabrication technique. They constructed small interdigitated delta-MnO2-nanosheet based devices on flexible polymeric substrates. They demonstrate that the supercapacitive performance of these 2D oxide based devices is similar to reported state of the art MnO2 based supercapacitors. Calcium phosphate ceramics (CPCs) are frequently used for bone grafting purposes due to their similarity to the mineral phase of bone. Nevertheless, these ceramics are brittle. To improve their toughness, reinforcement of CPCs using fibers is a promising approach. For a successful reinforcement, the adhesion between fibers and CPCs requires an interface bonding of sufficient strength. Daniela and coworkers hypothesize that by conjugating the surface of polyvinyl alcohol fibers with thermoresponsive poly(N-isopropylacrylamide) brushes which shift from hydrophilic to hydrophobic behaviour above their lower critical solution temperature, their bond strength can be easily tuned. Thermal barrier coatings (TBCs) are applied to metallic surfaces of combustion chambers and blades in jet turbine engines used for propulsion to allow for higher operation temperatures. The TBCs experience severe thermal cycling of over 1000 °C due to starts and stops of an engine. During cooling from the operation temperature to room temperature, high stresses develop due to a mismatch between the coefficient of the thermal expansion of the metal substrate and the ceramic TBC. In time, these stresses result in the development of cracks in the TBC that coalesce and ultimately lead to failure. The current TBC material does not exhibit autonomous crack-healing capabilities, hence a self-repair mechanism that can be executed at high temperature and directly upon damage is desirable. The concept is based on novel Al2O3 coated MoSi2 particles embedded in the TBC layer, typically consisting of yttria partially stabilized zirconia. Upon local fracture of the TBC, these particles feel the crack initially with a glassy phase that subsequently reacts with the matrix to form a load bearing crystalline zircon phase. Sjoerd van den Berg (CoorsTek) gives a presentation on the recent transition of the Uden site from an internal manufacturer of lighting ceramics within Philips Lighting to an international producer of advanced ceramics for a variety of applications within CoorsTek.